A recruitment agency boss celebrating three years in business has told of his excitement at the potential of the £700m East Midlands Gateway development to boost his firm’s turnover further. 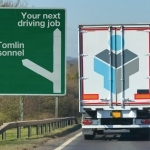 Rob Tomlinson, who set up logistics recruitment specialists Tomlin Personnel in June 2015, based at Bulwell, near Nottingham, said that the East Midlands area’s economic growth generally has made him bullish about his business’s future prospects. Mr Tomlinson pointed to the Castle Donington logistics park and its 7,250 jobs and 3,000 indirect jobs as reasons to be very optimistic about the future. 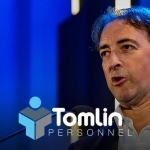 Tomlin Personnel itself is set to create three new jobs this year, while the expectation is to more than triple the turnover of £3.3 million currently to at least £10 million within three years. “We are currently so busy filling vacancies that I need to more staff to cope with demand. The news of the East Midlands Gateway, which will feature companies like Amazon and Nestle, as anchor tenants on the logistics park, as well as Shop Direct, is just the latest in what seems like very positive signs. For a company that specialises in logistics recruitment, the current news really couldn’t be better. The family-run business, which includes Mr Tomlinson’s wife Sally as director, covers Derbyshire, Leicestershire, Staffordshire, Lincolnshire, South Yorkshire and mixes national businesses as clients, as well as smaller local enterprises. It supplies more than 70 clients per week and successfully aims to sign up one new client to that roster per week. It has a payroll of more than 200 drivers per week, in both full and part-time roles. Mr Tomlinson said that the business’s location close to Junction 26 of the M1, at the Aspect Business Centre, is vital. “Candidates don’t have to trudge into the city centre to get to us and that’s very important in terms of attracting people,” he said. “But this success is also why we need to recruit more staff ourselves. 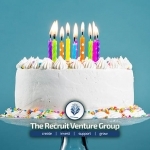 We will be looking at roles such as consultants and account managers as well as looking to expand into other recruitment sectors apart from driving to include industrial and commercial. Mr Tomlinson decided to start his own business after working in the recruitment sector since 2010. He had worked in the financial services sector before that. The business prides itself of being able to offer quality logistics staff, quickly, thanks to its reactive 24-hour operation that has access to thousands of job seekers in the East Midlands area.